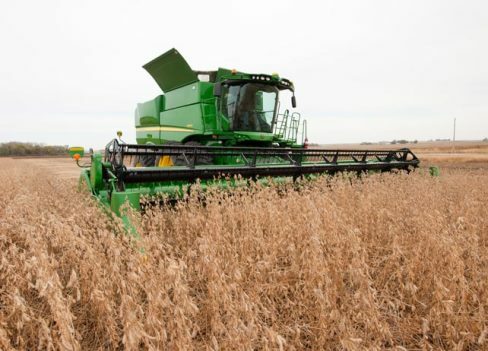 Whether you're a beginner, novice or expert, John Deere Combine Harvesters are designed to help you get the most out of your daily and seasonal production. We aim to optimise throughput and the ability to respond to many different crop conditions. We aim to create a balance between front-end equipment and machine power to offer an even, reliable and consistent performance. When it comes to comfort, the Deluxe S-Series cab, in particular, provides top-of-the-range views, lighting, convenient controls and well appointed technology. The S-Series 680 and 690 models offer a robust 400-bushel grain tank as well as an active tailing system. This system increases separator capacity by providing the opportunity for additional threshing of the return grain, if necessary. For our full range of combine harvesters, go here. 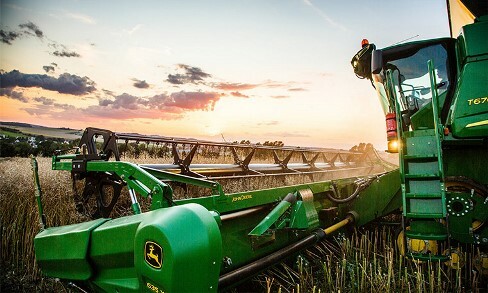 John Deere offers a range of headers to cater for all sorts of crops and conditions, beginning with the 600R rigid platforms which include single-point hookup, double cut knives and a heavy-duty epicyclic knife drive, through to the 600F & 600FD HydraFlex™ drapers ranging in size from 20-45 feet. For our full range of headers, go here.